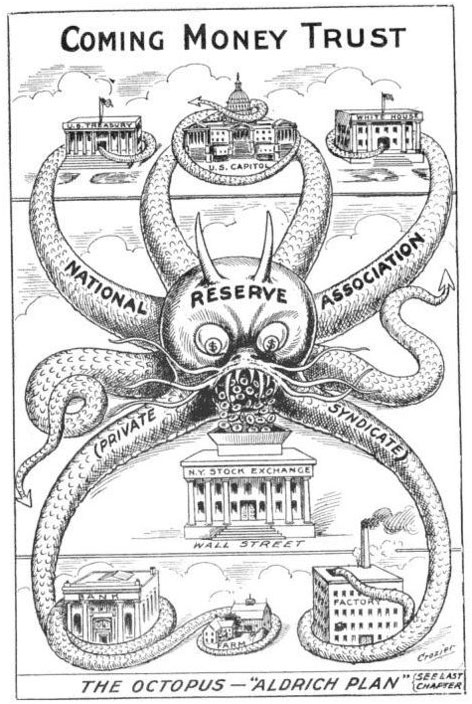 "The Creature From Jekyll Island" by G. Edward Griffin. What Can FCUSA Do For Me? Summary of supreme court ruling of Alabama supreme court judjment. "We are aware that the punitive damages award in this case is more than 4 times the amount of compensatory damages, is more than 200 times the out-of-pocket expenses of respondent Haslip, see n. 2, supra, and, of course, is much in excess of the fine that could be imposed for insurance fraud under Ala. Code 13A-511 and 13A-5-12(a) (1982), and 27-1-12, 27-12-17, and 27-12-23 (1986). Imprisonment, however, could also be required of an individual in the criminal context. While the monetary comparisons are wide and, indeed, may be close to the line, the award here did not lack objective criteria. We conclude, after careful consideration, that in this case it does not cross the line into the area of constitutional impropriety. [n.12] Accordingly, Pacific Mutual's due process challenge must be, ad is, rejected. "The judgment of the Supreme Court of Alabama is affirmed." "I choose to release all my financial limitations from my DNA, childhood and adult experiences and replace this with incredible prosperity and abundance flowing easily and naturally into my life. I store this morphic belief in my upper right mind to draw upon at any time for my highest good and each time I use it, it becomes exponentially stronger and more powerful." "The biggest, most unquestioned answer of our culture is our relationship with money. It is there that we keep alive--at a high cost--the flame and mythology of scarcity." "You Cannot Have a Universe Without Mind Entering Into It... Whatever it is You're Feeling is a Perfect Reflection of What is in the Process of Becoming... What You Focus on With Thought and Feeling is What You Attract into Your Universe... It's Law"
Whether you realize it or not, you have a relationship with money that YOU are constantly molding. Money is a neutral resource to which you give power. Your patterns with money are dictated by your beliefs, feelings and language about money. 2. They keep focusing on how much money is flowing out and create the emotions of distress and fear. Whatever we focus on, we create more of. However we feel about any aspect of our lives, we draw more of that experience into our lives. If we keep focusing with powerful negative emotions on all the money flowing out, we give more & more power to money leaving and very little power to money flowing in. “There is enough and I am ok.
Start putting your focus on money flowing to you with the emotion of gratitude. What would it “feel” like to have enough and more? What would it “look” like? What would it “sound” like in your family and marriage? What would you say to each other different from what you are saying now? What would it “taste” like? and buy something, you are then making a purchase with a “Note” (a promise to pay). There is absolutely no gold or silver backing the Federal Reserve Notes that we refer to as “money” today. “copies” just for the records to be put in a file somewhere or is there another purpose for them? than three‐quarters or greater than one‐and‐one‐half times the size, in linear dimension, of any part of the original item being reproduced. Negatives and plates used in making the likenesses must be destroyed after their use for the purpose for which they were made. documents and are the “holder in due course” and therefore have a legal right to foreclose? To foreclose they must have BOTH the “Mortgage Note” and “Deed of Trust” or other similar “Security Instrument” ORIGINAL DOCUMENTS in their possession at the time the foreclosure action is initiated. Furthermore, IS there a real honest to goodness obligation to be collected on? questions have to be answered with a resounding YES! If that is the case, then the Fraud that has been discussed here falls under the RICO statutes of Federal Law. Didn’t they eventually take down the mob for Racketeering under RICO statutes years ago? Is it time to take down the “NEW MOB” with RICO once again? homes after foreclosure proceedings based on these COUNTERFEIT SECURITIES submitted as evidence of a purported obligation? How many judges know about this Fraud happening right in their own courtrooms and never did anything? How many of them have actually been PAID for making judgments on foreclosures? Wouldn’t that be a felony or at the very least, misprision of felony, to know what is going on and not act to stop it or make it known to authorities in a position to investigate and stop it? Fraud. Where is due process under the law for the Defendant when the Plaintiff is NOT REQUIRED by the Court to meet that burden of proof of standing, when demanded, to bring their action of foreclosure? submitted and refuse to credit the account that it was written to satisfy, rise to the level of THEFT OF SECURITIES? This is just one more example of the Fraud that is so obvious. This is but one more example of the ruthless nature of those who would defraud the people of this country. and protect the Fraud by them from being exposed. The time has now come to make those having superior knowledge who HAVE taken advantage of another's ignorance of the law to deceive them by studied concealment or misrepresentation to be held responsible for that conduct. This isn’t just an idea. It is THE LAW and it is time to enforce it starting with the criminal aspect of the fraud! Under the doctrine of “Respondeat Superior” the people at the top of these organizations are responsible for the actions of those in their employ. That is where the investigations and arrests need to start. failure to do so would make you an accessory to the fraud through your inaction now that you have been noticed of what is occurring. Has US Economy begun to Crash? Today's comment is by Jack Crooks, Editor of World Currency Options and President of Black Swan Capital. Imagine that you have US$2.8 trillion sitting around. And for kicks, let's assume that most of that money, about two-thirds, is invested in U.S. dollars and other dollar-denominated assets like U.S. Treasury bonds. And let's assume that your currency was linked to the U.S. dollar, too. In other words, you often buy dollars to maintain a stable value relative to the buck. As long as the dollar is doing okay, there's no problem. But what if it's falling, as it has been over the last few years? You might decide to no longer peg your currency to the dollar. That solves the problem of tying your monetary policy to a boulder rolling downhill. Of course, your decision also means your US$2.8 trillion in dollar-denominated assets will get hammered in the process! Okay, you say, I can just sell off a lot of those assets to avoid the losses. The problem is that it's not easy to unload such a huge amount of investments without the market realizing what you're doing. And when they catch wind of your plan, they'll sell too. Thus, the price will fall even faster! It's a real Catch 22. And you know what? And the Gulf States Find Themselves In! Between them, China and the oil sheikdoms are sitting on an estimated US$2.8 trillion in reserves. It's all thanks to huge trade surpluses and massive oil revenues. For the sheikdoms, their currencies are still pegged to the dollar, so their currencies depreciate right along with the U.S. dollar. Meanwhile China already pegged their currency to a “basket of currencies” in 2005, so the yuan isn’t completely dependent on the U.S. dollar. But China still has a major dependence on the U.S. economy (not to mention all those dollars they still hold in reserve). China doesn't want to kill the U.S. consumer. That would hurt its export growth, which is still the primary driver of the Chinese economy. Meanwhile, the Gulf States - OPEC rhetoric aside - understand that any global financial turmoil created from a falling dollar will hurt their own investments and could mean lower prices for crude oil. So, here's the US$2.8 trillion question: Will the Big Dog among the Gulf States (Saudi Arabia) and the Big Dog on the global economic stage (China) completely abandon the dollar? They have more to lose than gain if they cut their ties to the buck. It's simple self-interest! And I believe the U.S. Fed and Treasury know this. In fact, I believe they have an implicit policy in place to placate these Big Dogs. I'll get to that in a moment. First, I want to be clear on one important fact. It Will Just Remain Orderly! Even if China and Saudi Arabia don't abandon the dollar, as far as the markets are concerned, the very idea that they could is problem enough. And until we witness a real fundamental improvement in the factors that are most important to the direction of the buck - economic growth and interest rates - these bad news scenarios will reign supreme. You see, in the currency game, perceptions are what matter most. So as you listen to the daily chitchat and read the flow of news concerning the dollar, keep in mind there is a lot that goes on behind the scenes that we are not, and never will be, privy to. The best you can do is piece together words and actions to discern implicit monetary policies. Consider all public statements by policymakers as either window dressing or efforts to subtly advance their predetermined policies. Why on Earth Would the U.S.
Want the Dollar to Fall? The U.S. wants nothing more than to keep global growth humming. In order for global growth to remain on track, they know that China has to keep going gangbusters. And for China to continue thriving, they know that Mr. and Mrs. U.S. Consumer must continue shopping. That's because they're still the biggest buyers of China's exports. Thus, everything still hinges on U.S. consumers! The Fed knows that lowering interest rates is the best way to support domestic shoppers. Lower rates make it easier for people to keep borrowing and buying. The sum total of these three forces is that U.S. stocks are likely to go up. That's great since higher stocks also makes U.S. shoppers feel wealthier and more likely to spend, spend, spend. We all know U.S. housing prices are falling off a cliff. That can have a major impact on consumer spending, as people who are losing money (even on paper) are less inclined to hit the mall. BUT, the stock market is also rising and pushing up the value of just about every consumer's 401(k). That goes a long way toward making them feel better about their spending habits. Voila! A rising stock market is an excellent way to counter the negative wealth effect from falling housing prices. So, you see, lower interest rates and a lower dollar go hand in hand. What's more, they actually form a self-reinforcing cycle...precisely the kind of cycle that the U.S. wants right now. China benefits as the U.S. consumer stays in the game. Saudi Arabia benefits by selling more oil, at high prices, as global demand remains intact. And the U.S. economy benefits as exports rise and its assets look increasingly cheap to international investors. Who knows, one of these days, even U.S. real estate prices might look cheap to big investors holding euros, pounds, Australian or Canadian dollars. Of course, in the meantime, the paper in your wallet will keep shrinking in value, and a lot of currencies will continue gaining against the greenback. So the best strategy is staying on the side of the currencies that have the momentum. That's the best way to protect yourself throughout the dollar's orderly decline. 5. I informed them that 42 USC 408 makes it a FELONY to use threat, duress, or coercion to try to force a person by fear or deceit to provide his SSN in an unlawful manner. The proposal being forwarded by the White Dragon Society to Asian clan elders is for the creation of a new, meritocratically staffed organization to be set up near Tenri City, South of Osaka. The name now being proposed for this organization is “Long-term Investments For Everyone,” or LIFE, for short. The negotiations towards unifying the Korean Peninsula with Japan and moving the capital of this new entity to the same region are also proceeding smoothly. We can confirm that Japanese “kidnap victim” Megumi Yokota is the mother of North Korean leader Kim Jong-un. Kim has agreed to accept the union of the Northern dynasty with the Southern one in the region in exchange for a ceremonial post. Perhaps he can become the symbol of unity and have his own palace and staff. The initial funding for LIFE, to be backed by Gold returned to Asia from the West as well as by other historical assets, can be set at 7000 trillion yen or, as mentioned above, about $125,000 per human. The money will be delivered in the form of development services such as canals, sewer systems, desalination plants, nature preserves, fish farms etc. People working for LIFE will receive generous salaries and be subject to draconian penalties for corruption. LIFE will not be the only major organization working on planning for the future of the species according to White Dragon Society proposals. The British Commonwealth, with its 1.8 billion members, will want their own independently financed development and future planning organization built according to commonwealth consensus. It will probably have to be initially headed by someone from India in order to make up for past British racism. Indian and other historical gold assets as well as commonwealth real estate will back their funding. The Catholic Church and Vatican Bank will also want to have a Christian planning agency controlled by actual Christians for their 1.2 billion members once the Satanists are purged from the Vatican bank. Similar independent groups such as the Chinese, the Muslims, the Africans and the first nations will also be able to plan for their own independent futures. In addition, the United Nations will have to be radically restructured in order to make it truly representative of the human race and not be an instrument of Western imperialism as it is today. Studies by the pentagon, anthropological research and corporate governance research all conclude that the most effective decision making bodies number between 6-9 people. This is the size of the traditional human family during hunter gatherer times. The most natural division for humanity along cultural and historical lines suggests a new council of elders be put at the heart of the United Nations Security Council. The White Dragon suggestion is for a representative to be selected by each of the following groups: Africa, China, East Asia (excluding China), India, North and South America, Europe including Russia, the Islamic world and first nations. This 8 person grouping would only function as an emergency consultative council to deal with issues affecting all humans. It would operate according to majority rule. Each region would have a veto but that veto would be restricted to that region only. Sovereign nation states would continue to exist as before unless voluntary agreements to merge were reached between countries. The Pentagon, for its part, has reached an agreement to merge with the Chinese and Russian Military to form a global peace keeping force, according to a high ranking agency source. There has also been an agreement to break up many of the large corporations controlled by the Khazarian Satanic Cabal. Microsoft was specifically mentioned as a company that was about to go Kaput. The major corporate media corporations will also be broken up. Many other top 100 corporations will be broken up into as many as 20 smaller units, according to this source. The cabalists in charge of the G5 countries are also going to be excluded from the new financial system. If necessary the Pentagon will round up both the Illuminati and the Nazis, in order to make sure they cause no more trouble. In the US there is also going to be a detailed study of what happened over the past 100 years since the Federal Reserve Board took over and a lot of stolen funds are going to be returned to their rightful owners. A lot of billionaires will soon be out on the street pan-handling if they are found to have been living on stolen funds. A lot of poor people will suddenly be able to live in their own, mortgage free homes. Needless to say, revamping how we run the planet is not an easy job. There is a lot of nitty gritty to be taken care of before anything public is announced. We also need to be on extreme alert for any last minute Satanic terror attacks aimed at trying to prevent the freeing of the sheeple. However, have no doubt, the Satanists will be defeated. There will be world peace, an end to poverty and an end to environmental destruction. Humanity will be set free. Here is something sent by a Pentagon source. It is by Jim Channon and reflects the kinds of ideas being bandied around as humanity heads into a new age. 1. Oil companies realize they are liquid transportation companies and start to move fresh water to needy places on the planet. 2. Major engineering companies respond to rising seas and create canals that take the excess water into barren lowlands inside the continents where it is needed. 3. The national military forces of the planet merge to form natural security teams and restore their respective parts of the earth’s forests, plant life, watersheds, wildlife and the biosphere above all that. 4. That schools recognize that content is already available on line and change their courses to life skills, learning based pursuits, and a new partnership with nature. 5. That Universities build upon the science of conscious evolution, a visionary mindset, and life force living intelligence and then structure their experience based curricula to that end. 6. That government decentralizes into bioregions and organizes military units, school kids, fire departments and others to generate food foraging forests in all available sites for complete global food security. 7. That neighborhoods take on a wide variety of energy producing solutions to become fully independent but not totally separate from the power grid. 8. That web-based democracies attend to their regionally based constituents and use the global web intelligence system to optimize local living. 9. That railheads, airports, and warehouses converge to be able to launch global air rescue missions that deliver major emergency living villages to all peoples globally within hours of a disaster. 10. That the global public achieves a clear unifying identity and the pre-emptive political power to defang the nuclear arsenal and its fear based factions while offering alternative product lines for the military industrial complex. 11. That we accept the notion that life is more likely to exist in the galaxy than not and prepare for the real benefits of new connections. 12. That we embrace a new level of profound simplicity and reintroduce creativity as a replacement for things and mindless entertainment. Step1. Homeowner receives loan from Bank-X. Step2. Bank-X sells the loan to SPV and is paid in full. Step3. SPV transfers note into REMIC trust and is paid in full by Trustees. Step4. The note is now a Security, the process is irreversible and complete. Step5. 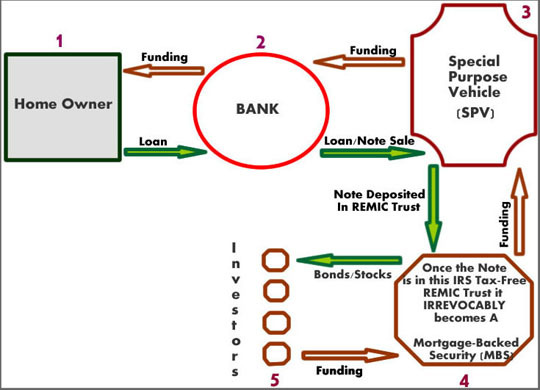 Investors (OWNERS) of the Certificates (Bonds/Stocks) receive payment from the REMIC Trust. Newscast Media HOUSTON, Texas–The process of acquiring or selling homes in the past few years has been forever changed by the securitization process that has affected homes of over 60 million Americans. I receive many emails and questions regarding this topic, and since I am not an attorney, I will direct the readers to a brilliantly written article by Rodaben Esquire, that explains the whole process and by the end of the article, you’ll be surprised as to what the banks are hiding from you. I have also created the chart above to show you the flow of transactions. Bank A issues a mortgage to Caprice to purchase a house. Two documents are produced, a promissory note and a trust deed. The trust deed is essentially the title of the property that is held in trust until the promise to repay the loan (promissory note) is satisfied. Once the loan is paid in full Bank A releases its claim on the Trust deed and ownership passes in full to Caprice. That is what most of us believe happens in mortgages because you are not informed as to what happens after the paperwork is signed and how it impacts the title and promissory note you are obligated to. This is intentional, and represents the entire scheme that allows securitization occur. If the process that is now used is too complex it can be used as a justification to allow the shenanigans that occur during a foreclosure process to happen while the judges and juries believe that the process described above is what is actually happening. Lets look next at the basics of securitization. Once the mortgage has been formed between Caprice and Bank A, Bank A wants to get rid of it as fast as possible and recoup its funds. To take advantage of this and the tax benefits of securitization it has to form what is called an SPV, a (Special Purpose Vehicle) Think of it as a shell company. This protects the mortgage if something happened and Bank A went out of business. The mortgage would still exist. It also theoretically reduces the liability of Bank A to the mortgage default. It is important to realize one important thing here…the two documents that Caprice signed (the promissory note and the title deed) are now SEPARATED. The trust deed remains with its trustee. The promissory note—the asset that pays money—is SOLD to the SPV. The original note is paid off by the SPV and the stream of payments becomes the property of the SPV. Bank A has its money in full and no longer has ANY interest in the mortgage. Now, the SPV forms a new trust entity. This trust entity is defined by the IRS as a REMIC (Real Estate Mortgage Investment Conduit) and must adhere to the laws regarding such a trust. The benefit of doing this is that when the SPV transfers the mortgages into the Trust NO TAXES MUST BE PAID ON THE TRANSFER. This makes the trust is a much more efficient and profitable vehicle for investors. REMICs, in turn, cannot retain any ownership interest in any of the underlying mortgages. The Trust, then, is as its name states a Conduit where money flows in from the person who pays their mortgage and out to the investor as a payment. The right to receive those payments was purchased when the security (stock or bond) to the trust was purchased. Proceeds from that went back to the SPV who used them to purchase the mortgages from Bank A. It is a giant figure 8 circular flow of money with the Trustee coordinating it all. The first owner was Bank A who took interest in the property as collateral on its loan to Caprice. Simple enough. When Bank A sold the mortgage to the SPV its interest was extinguished. Ownership of the promissory note WAS transferred to the SPV who is now the note holder. The SPV forms the REMIC trust and transfers the note into the trust, thereafter it irrevocably changes the nature of Caprice’s mortgage. It becomes a Security. Once again, the SPV must transfer the note and pay taxes on the transfer. The mortgage now in the trust becomes for all purposes a blended group of monthly payments. These payment streams become the source of funds that the trustee pays out to investors. In essence the trustee—when certificates, stocks or bonds to the trust are sold—sells a beneficial interest in the mortgage. That is not ownership of any portion or any segment of the revenue stream but rather is simply a security—just like a share of IBM or Google doesn’t entitle you to any of the assets of the company. But who owns the note? Because of the tax exemption of the REMIC it is PROHIBITED from retaining any ownership of the underlying assets it no longer holds any ownership to the note on the day it is formed. The investors in the trust do not hold any interest in the note either, they only hold the security which was sold to them. So what happened to ownership of the note? It was EXTINGUISHED when it entered into the trust in order to obtain the flow of cash back to the original lender and the tax-preferred investment proceeds to the investors. So, who does Caprice owe the money to? Who has authority to release the deed to Caprice when her mortgage has been satisfied? The answer? No one. The trust is set up and cannot take an active role in the collection of the funds. It is a shell entity ONLY. Therefore it appoints a servicer to collect the payments every month. So what happens when Caprice defaults? How is his property foreclosed upon? The Lender was paid from the SPV upon selling the note. The SPV was paid from the Trustee who received money from the sale of securities. The Servicer was paid on schedule by the Trustee from fees generated. Owners of the certificates (bonds or stock) received a payment from the Trust. The REMIC Trust itself was insured by the SPV to protect investors. If the terms of the mortgage were fulfilled (i.e. everyone was paid) To Whom Does Caprice Owe Any Money? "We shall answer their demand for a gold standard by saying to them: You shall not press down upon the brow of labor this crown of thorns, you shall not crucify mankind upon a cross of gold." "A super-state controlled by international bankers and international industrialists acting together to enslave the world for their own pleasure." "If our nation can issue a dollar bond, it can issue a dollar bill. The element that makes the bond good, makes the bill good also. The differed between the bond and the bill is the bond lets money brokers collect twice the amount of the bond and an additional 20%, whereas the currency pays nobody, but those who contribute directly in some useful way. It is absurd to say that our country can issue $30 million in bonds and $30 million in currency. Both are promises to pay, but one promise fattens the usurers and the other helps the people." Abundance is our Divine Birthright, and circumstances are now perfect for us to reclaim our God-given heritage of prosperity. In the 1980's, we reached into the depths of lack and limitation. People began to believe that America and the World were in a state of decline. It was a very unique time on Earth, often a confusing and frightening time. Through the advancement of modern technology, we had instant Global communication, and we were constantly being informed of the extreme imbalances appearing on the screen of life. We saw lack and limitation manifesting everywhere. We saw hunger, homelessness and all manner of poverty. We heard dire reports of economic failure, such as the demise of the savings and loan companies and the crash of the stock market. The terms foreclosure, bankruptcy and recession became household words. Companies went out of business daily, and the jobless rate increased. There was a prevailing sense of uncertainty and fear that ran through all economic circles and the general public as well. This sense of fear created a consciousness of panic that caused people to cast caution to the wind, and the insidious influence of greed and selfishness tightened its paralyzing grip. When that occurred, integrity and social conscience were swept aside. The environment was ignored, and the well-being of Humanity and the Earth Herself were jeopardized in pursuit of the almighty dollar. From outer appearances it looked as if the economy was "going to hell in a hand basket," but nothing could have been further from the Truth. In actuality, the negative patterns of poverty, greed, corruption, selfishness, etc., were being pushed to the surface in the 1980s by the increasing influx of God's Light. The Divine Intent was to create a catalyst that would shift Humanity's consciousness and motivate people into action. It seems as though we use pain as our greatest motivator, so as we experienced the full brunt of poverty, either personally or by observing the plight of others, millions of people were inspired to invoke the Light of God to transmute and heal the maladies of lack and limitation. As Awakening Humanity invoked Light into the dire situations surfacing in people's lives, we cleared the way for Prosperity Consciousness to be reborn. Now we are witnessing the initial impulse of a Global economic boom. This boom has the potential of reaching a scale never before experienced. We are in a period of sustained growth that visionary economists perceive could double the World's economy every dozen years and bring prosperity to literally billions of people on Earth. Just imagine, we are standing on the threshold of an economic explosion that will do much to solve the seemingly insurmountable problem of poverty and ease tensions throughout the World. This phenomenon is not just a fluke. It is part of a Divine Plan that is being orchestrated by God and the entire Company of Heaven as They work in harmony and unison with Awakening Humanity. This plan has been gradually unfolding for millennia. The purging that took place throughout the economic world was a necessary, critical part of the planetary transformation that is now at hand. For aeons of time the monetary system of the World has been abused. 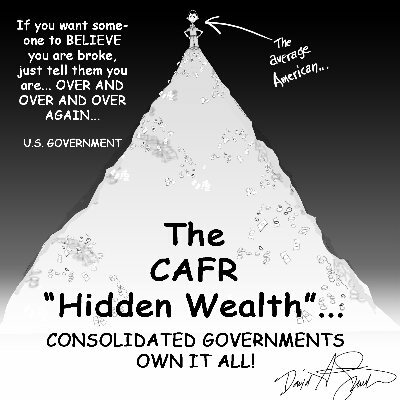 Instead of the natural exchange of give-and-take, based on the principle of always working toward the highest good for all concerned, the wealth of the World has been used by the elite few to manipulate, dominate, oppress and control the multitudes. Money has been such a source of pain and suffering throughout history that religious orders in both Eastern and Western cultures considered money itself to be innately evil. They, thereby, denounced it and actually took vows of poverty. This action gave the Spiritual aspirants of the World the message that somehow poverty was a virtue. Interestingly, this belief system perpetuated the schism between the haves and the have-nots. It also created a phenomenon that intensified the abuse of money. The people who were truly seeking greater levels of Truth to improve the quality of life on the Planet and those who were genuinely striving toward Spiritual growth and self-mastery were being taught by the world religions that money was evil and should not be acquired. That belief left the money in the hands of those who were not pursuing the highest good for all, but rather pursuing the self-indulgent gratification of greed and power. Because the abuse of money has been the order of the day on Earth for literally millennia, we probably all have etheric records and memories of times when we either abused our wealth or when others used their wealth to abuse us. These etheric records vibrate at a subconscious level, but they can be very effective at repelling money away from us. In either case, whether we were the abused or the abuser, or on occasion both, the message was that money is a source of pain. It is very hard to get past that subconscious block and allow money into our lives when we keep associating money with pain. This is truly a Cosmic Moment on Earth, a moment being referred to as the dawn of the Permanent Golden Age. In this dawning Age, it has been decreed by Divine Fiat that Heaven shall manifest on Earth. As you can well imagine, poverty, homelessness, lack and limitation do not exist in Heaven. Consequently, that means that they will not exist on Earth either when the transformation is complete. But what we must realize is that those maladies are not going to be eliminated because some one waves a wand and magically makes them disappear. They are going to be eliminated because you and I and every other person evolving on Earth learn to apply the Laws of Prosperity accurately and effectively in our lives. At any given moment our environment is reflecting a sum total of our thoughts, words, actions, feelings and beliefs. The World at large is a reflection of Humanity's consciousness. The remaining negative experiences of lack and limitation occurring in our personal lives and in the Global economy are not the result of God punishing us for our past abuse of money as some are indicating. It is merely our own energy returning to us to allow us to experience the results of our actions. At this critical time of change, if there is any area in our lives in which we are not reaching our highest potential, it is being pushed to the surface in such a way that we don't have any choice but to face it and deal with it. We are no longer being allowed by our Higher Selves to stuff or deny our problems. Needless to say, poverty is a problem, and it is surfacing in the lives of those whose thoughts, words, actions and feelings are based in poverty consciousness. As long as we are comfortable, we are willing to stagnate forever, but when we experience a real crisis in our lives, we frantically try to alleviate it. We strayed from the original Divine Plan as far as money goes, but we are now clearing up our past mistakes and getting back on track. The imbalance and failure of our economic system was brought to our awareness through the media so that we could clearly see the error of our ways of greed and selfishness. Now, through greater insight and understanding, we will create an economic system that reflects a reverence for ALL life and the highest good for all concerned. Abundance is actually our natural state of Being. The supply of the Universe is limitless. When the Earth was created, God provided Humanity with everything we needed to abide in this verdant paradise of splendor, including the knowledge and wisdom to sustain a life of prosperity and abundance. It was only when we began to use our gift of free will to express thoughts and feelings that reflected a consciousness of less than prosperity that we began to experience lack and limitation. We must remember that our thoughts are creative. Whatever we put our attention and energy into, whatever we think and feel, we bring into form. When Humanity began to express thoughts and feelings of fear and lack, these discordant vibrations began to reflect on the atomic substance of physical matter. Then, instead of the continual manifestation of the God Supply of all good things, we began to experience extreme imbalances and impoverishment. The Elemental Kingdom, which always reflect Humanity's consciousness, began to show signs of decay and degeneration. Floods, famines, droughts and pestilence became the order of the day. The people evolving on Earth observed the changes taking place, and they became more fearful and confused. This negative state of consciousness perpetuated even greater degrees of lack and scarcity. Thus, over eons of time, Humanity created a building momentum of poverty consciousness. We became deeply entrenched in the discordant thought forms of limitation. We observed the indigence of the outer world and accepted it as our natural state of Being. We forgot that we are co-creators in our Earthly experience. We lost the awareness that the things occurring in our lives are merely a reflection of our thoughts, words, feelings, actions and beliefs. Instead, we looked at the poverty of the World and tried to justify it by proclaiming it to be, of all things, God's Will. We felt victimized and tried to outsmart our so-called lot in life. We became conniving and deceitful. We believed that the only way we could have enough was to take things away from others. This attitude became the basis for war, crime, corruption, greed and selfishness. The momentum of poverty consciousness increased throughout the Ages, and day-by-day, we methodically sank into our present level of degradation. If we will objectively observe the negative things occurring in the World, we will see that almost every single destructive expression of life is, in some way, reflecting a belief in lack and limitation and also reflecting the actions of greed and selfishness that naturally accompany that belief system. This material spiral into oblivion is now coming to an end. It is critical, for the survival of the Planet, that we stop our distorted acceptance of poverty and begin clearly and effectively developing a Consciousness of Prosperity. Poverty is in absolute opposition to the Divine Plan for the Earth and all of Humanity. Poverty cannot exist in the presence of Light, and the Earth is destined to be a Planet of Light. Through the Power of God anchored in my Heart and within the Hearts of ALL Humanity, I invoke the Divine Flames of Gratitude and Acceptance. Precious Sacred Fire, blaze in, through and around every electron of my Being. Flood my consciousness with Gratitude for and the acceptance of God's Limitless Flow of Abundance. Lift me into the Realms of Truth, and Bless me with the clear Inner Knowing that the God Supply of all good things is my Divine Birthright. I relinquish now, in the Name of God, all of the power I have ever given to lack and limitation through my thoughts, words, actions or feelings. I relinquish now, in the Name of God, all of the beliefs I have ever had that are based in poverty consciousness. In deep Humility and Gratitude, I consecrate and dedicate my very life to be the open door through which God's Limitless Abundance will flow to Bless me, my family, friends, co-workers and ALL Humanity. As I think, speak, feel and act, the Presence of God within me is expanding God's Gift of Prosperity to all life evolving on Earth. I AM an Awakened Light Being! I Gratefully accept God's Gift of Prosperity and Limitless Abundance!